Magic Muscle Relief was created by Bruce Horne 9 years ago as a stress relief foot rub for a fellow vendor who was expecting her first child. The vendor event lasted for three days and she was on her feet many hours a day. After the first day, she explained her discomfort and Bruce created a formula that evening for her. In the morning, during the bottling of the product Dorie Horne was stiff in her back and could hardly bend over. (She was vending at the same event spending hours on her feet.) In cleaning up there was a small amount of the formula that would have gone to waste so Bruce rubbed that on Dorie's back. Within a minute Dorie was pain free and bending over like a ballerina. 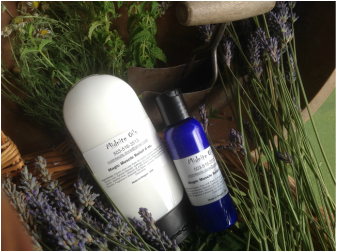 To this day, this combination of lavender, chamomile, and peppermint in our lotion base, has continued to amaze people with its simple yet effective formula. The formula works by harnessing the power of nature in reducing pain and inflammation while working with the central nervous system. While many find it hard to understand how natural formulas can offer such relief, we challenge you to give it a try. And we remind you that most modern medicines start with nature.